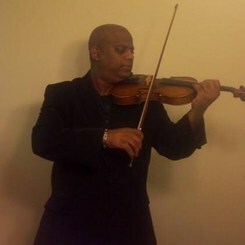 Violin & Viola Instructor: M.M. in Music Performance from Catholic University. Additional studies at the Province School of Music, National School of Arts, Cuba. Performance experience with the Havana Philharmonic, National Gallery of Art Orchestra, Fairfax Symphony Orchestra, National Symphony Orchestra & in shows on Broadway. 15 years teaching experience. Request Lessons with Eleonel L today!